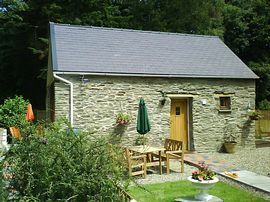 Yr Hen Felin is a riverside cottage thought to be formerly part of a sixteenth century water powered woollen mill, set in the heart of the Preseli Hills in the Pembrokeshire Coast National Park. The cottage is located in the quiet hamlet of Pontyglasier a perfect relaxing location for those seeking peace and seclusion in the heart of the picturesque countryside. The cottage is an ideal base for fishing, cycling, walking, horse riding and exploring the stunning moorland, valleys, cliffs and beaches of the Pembrokeshire Coast National Park. 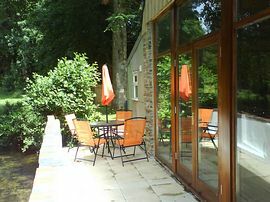 Alternatively you could while away the hours just relaxing in the garden, next to the river. The cottage has been skilfully and imaginatively restored by the owners who live in the main house nearby. Ty Felin Hen sleeps four, with one double bedroom on the ground floor and one twin bedroom on the first floor. On the ground floor, the entrance leads into a small hallway and then into an open plan lounge/kitchen and dining room. The lounge area has a high vaulted pine ceiling and a stunning full aspect picture window. French doors lead from this room onto the patio adjacent to the river. The lounge has colour TV with digital Freeview and is comfortably furnished. The kitchen is well equipped with white fitted units, gas hob with separate electric cooker, microwave oven, fridge, freezer and dishwasher. Also on the ground floor is a shower room with shower cubicle, washbasin and toilet. There is full oil central heating and double glazing throughout the property. There is a large garden surrounding the cottage with two lawned areas, garden furniture, barbeque and a patio area which overlooks the river. 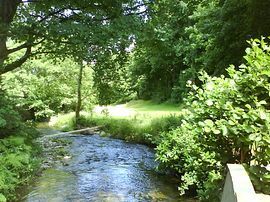 Guests are also welcome to explore the owner's river meadows to the rear of the cottage. There is ample parking for two cars. A cot and high chair are available. Well behaved pets are welcome by arrangement with the owners. Shared use can be made of the owner's laundry facilities. 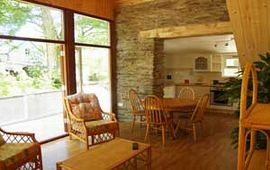 Ty Felin Hen and its riverside location provides an idyllic base from which to explore the surrounding national park, coastal cliffs and beaches. Riverside garden, patio and balcony. Set in the Preseli hills . Local Services: Restaurants, pubs, garage, shops, supermarket, sports and leisure centre, swimming pool, golf courses, trekking and riding stables, local visitor attractions and theme parks. Take the A40 from Carmarthen to the A478 roundabout junction. Follow the A478 towards Cardigan to the village of Crymych. Take the left turn in front of the Crymych arms and follow the road for approximately 1.5 miles and take the left turn to Crosswell. Follow the road for approximately 1.5 miles to the village of Pontyglasier. 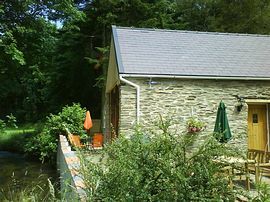 Yr Hen Felin is located on the right hand side next to Ddolgoed at the foot of the bridge over the River Bannon. Low Season: (minimum) £225.00 per week. High Season: (maximum) £495.00 per week.